If you are planning to shift your business on the web so as to sell your products or services online, having any website won’t do. 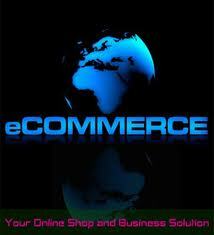 When it comes to make online store, ecommerce is an inevitable platform for the merchants. If your ecommerce website design isn’t user-friendly and smooth to navigate, you may not get the revenues deserved. If you are keen on making a powerful ecommerce mercantile presence, make sure you choose the best ecommerce service provider. Professional web design company has a team of design specialist and skilled developers who can make the storefront that works for your business. It is a challenging task to convert the visitors into potential customers, but ecommerce design specialists can definitely make this possible. Viewing the portfolio is the best way to measure the expertise of any ecommerce solution provider company. You can review their past projects and scale their design and coding skills. 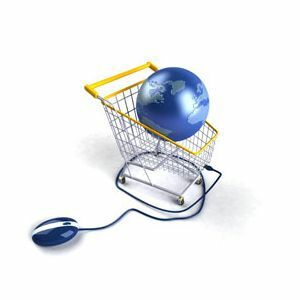 People who are new to ecommerce world often disregard one issue. They always concentrate more on the appearance and appeal of the website, but the least on the usability or functionality. There is no point of developing an appealing web design, if your website isn’t functioning well. The design should allow customers to make online payments hassle-free. A professional ecommerce designer very well knows the significance of the perfect combination of appealing design and great functionality. The professional ecommerce designers are aware of the latest trends in the international market and thus they are able to deliver the ecommerce solution you desire of. An experienced ecommerce designer enables users to smoothly browse your products, search desired products, zoom-in product image and then easily make the online payment. Most of the ecommerce websites offer the guest checkout facility, so users not registered on your website, or those who want to skip registration process, can directly purchase the product and make the payment under guest log-in. A golden rule of making a successful ecommerce website design is to keep is simple. Simplicity is the height of sophistication and goes well with the ecommerce website design. If you are selling lots of products and if there are so many different categories for your store, users may find as if they are burying their head in the sand or they may simply move to your competitor’s website. The ecommerce designers who have years of experience in designing and have dealt with many projects so far, can certainly avoid the creepy design mistakes outlined here. They first analyze your business and the products you are offering. They strive to go beyond the client’s expectations and build the design that meet your business objectives in the form of improved brand visibility and increased sales. Your competitors have already marked their presence on the web and delaying more may leave you behind in the market competition. So, what are you waiting for? Find the right ecommerce designer whose skill-set meets your business requirements.